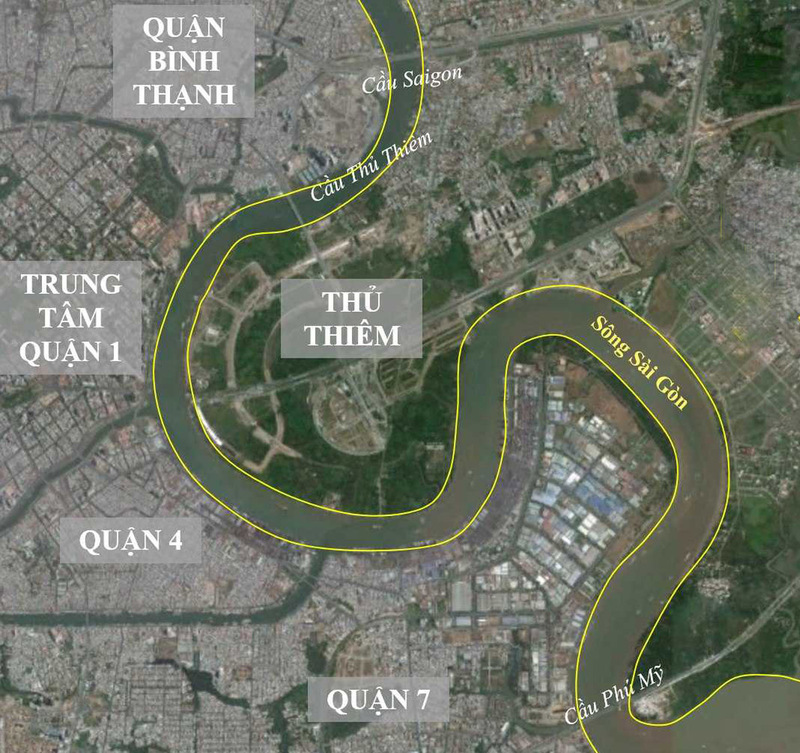 Thu Thiem is located on a 647-hectare peninsula across the Saigon River from the historic center of Ho Chi Minh City. Sasaki's master planning work for Thu Thiem spans nine years—from 2003 when Sasaki won first prize in an international design competition to ongoing work through 2012 for the Investment and Construction Authority of Thu Thiem. 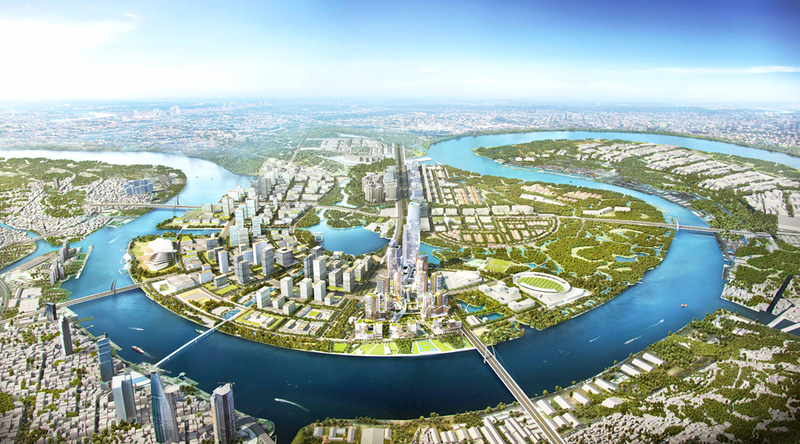 Sasaki's master plan focuses on development of Thu Thiem as a sustainable, dynamic, mixed-use central business district. 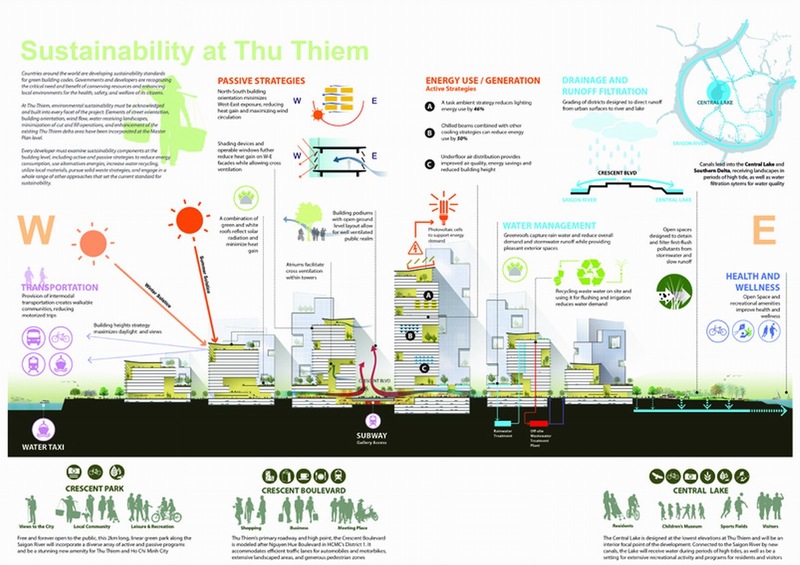 The plan is based on a framework of transportation, land use, and public spaces that integrates the existing ecological conditions of the lower Saigon River and responds to the climate of southern Vietnam. 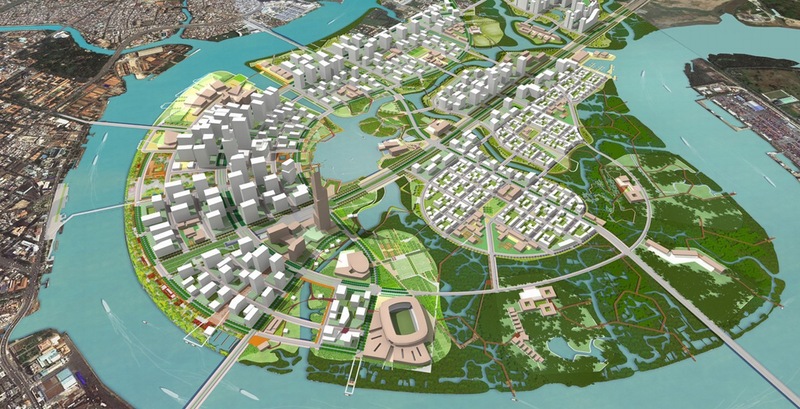 The plan for Thu Thiem strengthens the city's extraordinary bond with the river and is a model for long-term sustainable growth in Ho Chi Minh City. 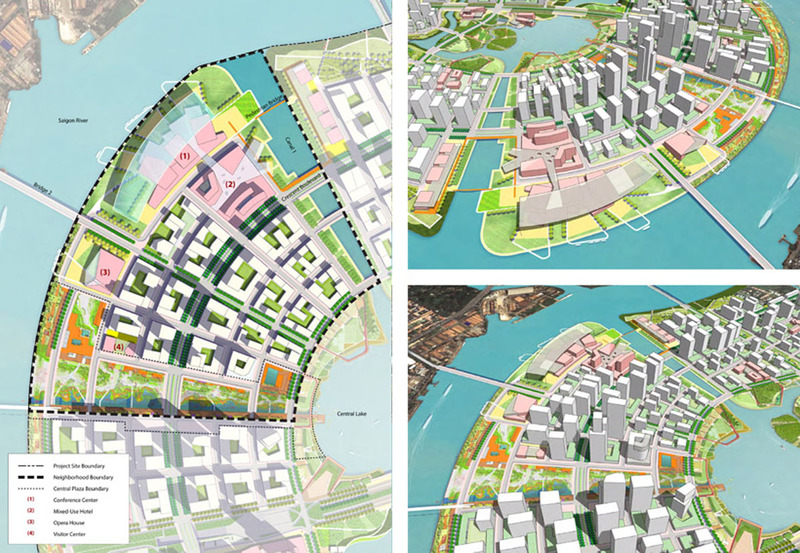 Sasaki's plan for Thu Thiem also focuses on connections to the riverfront, linkages to the historic city center, and a compact, flexible urban form. 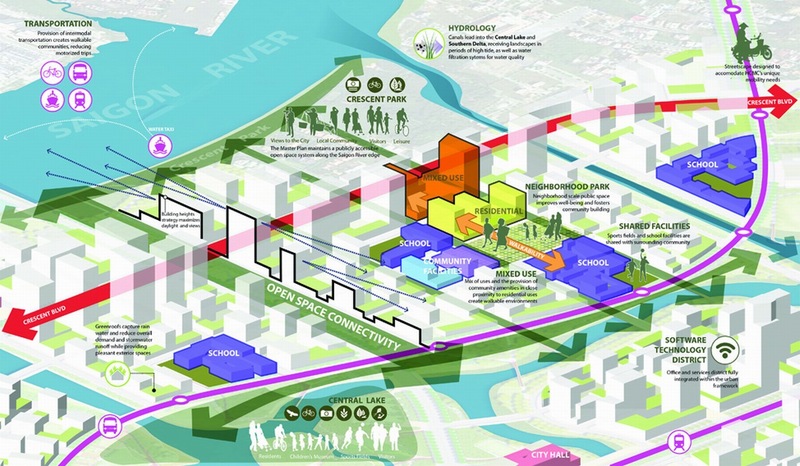 The plan promotes density, integrated public transit (water- and land-based), and appropriate street and building orientation that encourages cross-ventilation and passive cooling. The plan incorporates the natural delta landscape and river fluctuations into the urban fabric and preserves native vegetation. 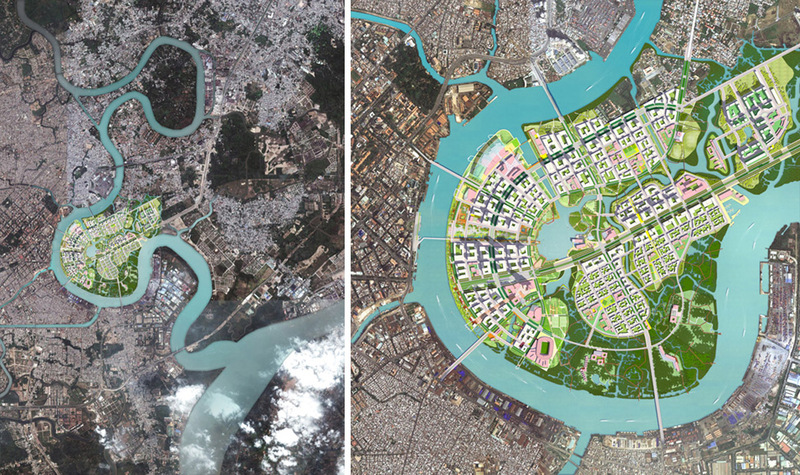 A key ecological strategy is maintaining Thu Thiem as an "open system"—one that accommodates tidal regimes and high-water events through natural and man-made canals, lakes, and mangrove areas. 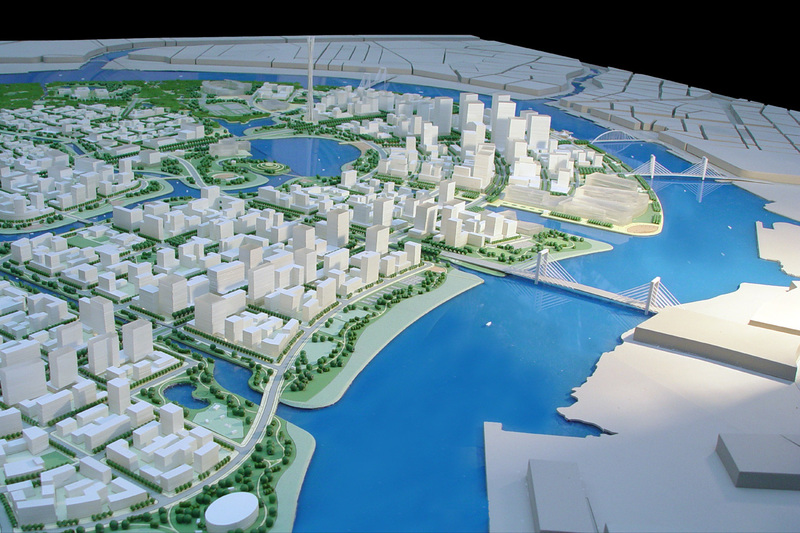 All residential areas are in close proximity to the water and to the public spaces created through this strategy. Over the next 20 years, Thu Thiem will accommodate over 130,000 residents. Since 2005, three major infrastructure linkages have been built based on Sasaki's planning work. The Thu Thiem Bridge connects Thu Thiem directly with the existing city to the north. The East-West Highway—aligned in accordance with Sasaki's original Master Plan—has also been constructed, connecting Thu Thiem to residential and commercial districts to the east and opening up access to diverse development opportunities. The completed East-West Tunnel passes below the Saigon River and connects historic District 1 and Thu Thiem. 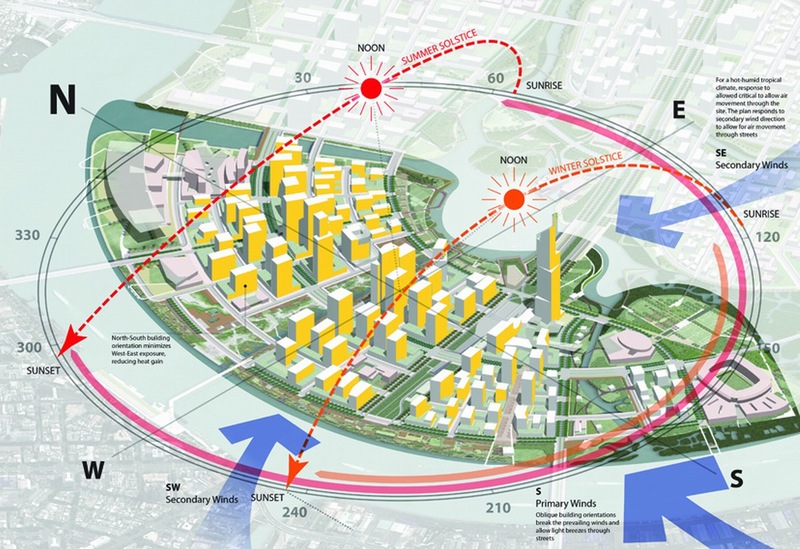 In the future, an iconic pedestrian bridge will connect Thu Thiem's Central Plaza—which will be one of the biggest public spaces in all of Vietnam—with Me Linh Square on the west side of the river. Three additional vehicular bridges are slated to be built according to Sasaki's plan over the next 50 years. Sasaki's master plan also calls for an 86-story mixed-use tower that is currently in concept design with a private HCMC developer. The building sits at a crucial visual axis and will be a landmark in Thu Thiem's skyline of buildings. 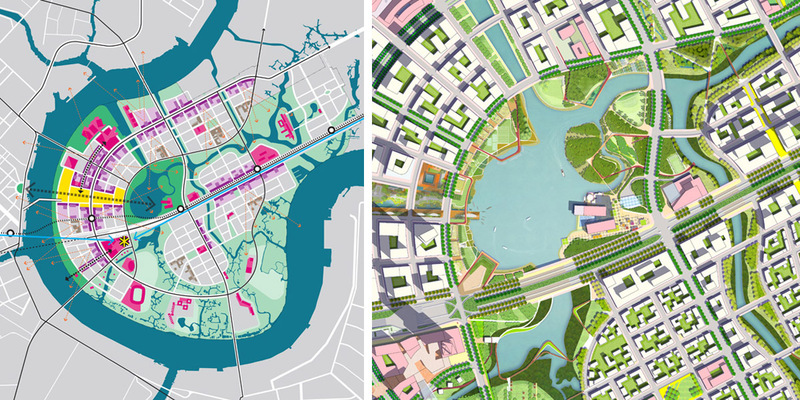 In 2008, Sasaki managed and juried an international design competition for the Central Plaza, Crescent Park, and Saigon River Pedestrian Bridge. In 2011, the client—the Investment and Construction Authority for Thu Thiem—hired Sasaki to prepare a 1:2000 Master Plan Adjustment, coordinating a series of public seminars and incorporating developments and new strategies since the approved master plan of 2005.